I have been using Poppy Austin products since the start of this year. I found them all by accident while I was looking for a good Argan oil that wasn't outrageously priced. Upon finding their website, I also noticed that they sold other great products and I for sure wanted to give them a try. So when the company contacted me and asked me to try their Rosehip oil, I was game. I have been dying to try Rosehip oil. However the problem with this oil just like Argan oil is that it hard to find in its pure form. Many companies tend to add many extra ingredients in these products that only tamper with the effectiveness of the oil. Poppy Austin sells this oil in a pure organic form. There is nothing added or taken away so what you buy is what you get. Moreover, this comes in a 2oz bottle for an amazing price. Rosehip oil has antioxidant properties which are amazing for the skin. It helps to diminish the looks of fines lines and wrinkles. For those who suffer with hyper-pigmentation it works great as it helps to correct dark spots, uneven skin tone and dryness. It helps to greatly reduce acne scars, stretch marks, eczema and psoriasis. When this arrived to my house, I noticed it came in a dark opaque bottle with a droplet. Remember this is an antioxidant so it is sensitive to light and air. So the dark bottle design keeps it from degrading. The oil comes out like a dark burnt orange color which is kinda cool as I have never seen that type of color in a serum before. The oil is not too runny but not thick either. I would say its in between which is easy to spread on your face and doesn't glide off your hands when putting some in your palm for application. You need about 3-4 drops to use on your whole face. I will admit, I have been using this oil for about 3 weeks now. I normally NEVER write a review unless I use a product for a minimum of two weeks because I believe in long term results and not instant results. In many cases instant results fade over time. However with longer term results you will see a differences in your skin texture and feel. The first time I applied this was at night. I decided in order to give this a fair chance I stopped using my Poppy Austin Argan oil and Maracuja oil (not by Tarte) and only used my Rosehip oil. When I woke up the next morning I wasn't expecting anything different just nice moisturized skin. However I was shocked to see my skin results. My face looked brighter, hydrated and just all around beautiful. My skin looked plumped and moisturized. Yet like I said earlier, I believe in long term results versus instant. So three weeks later I have to say the results are still there. This oil is truly amazing. I use this oil twice a day. In the morning and in the night and my skin just looks and feels great. There is no oily feeling left behind or nasty residue. 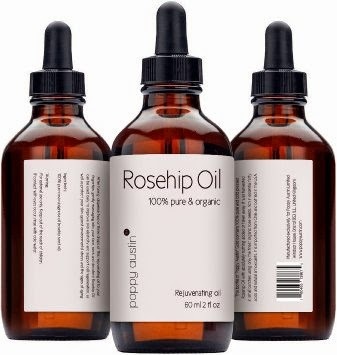 I have to say, for the fact that I was dying to try Rosehip oil and wasn't settling for just anything really made this product worth the wait. I would really recommend this to someone who is interested in trying oils for their skincare routine and for those looking to tackle skincare issues.